An actor with the Royal Shakespeare Company performs onstage at the Stratford-upon-Avon theater dedicated to the works of William Shakespeare. 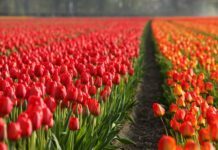 Next year is going to be one of the best years to visit England as the country celebrates the birth and death anniversaries of some of its literary greats with events, exhibitions and spruced-up attractions. The exact cause and date of William Shakespeare’s 1616 death still remains a mystery, but that won’t stop the 2016 celebrations Shakespeare’s England has planned to honor the author of such memorable plays as “Hamlet”—in which the character Fortinbras remarks on “proud Death’s” taking of so many lives. Stratford-upon-Avon, Shakespeare’s hometown, and the surrounding areas are playing host to a series of tours, performances, and exhibitions in commemoration of the 400th anniversary of the legendary playwright’s death. 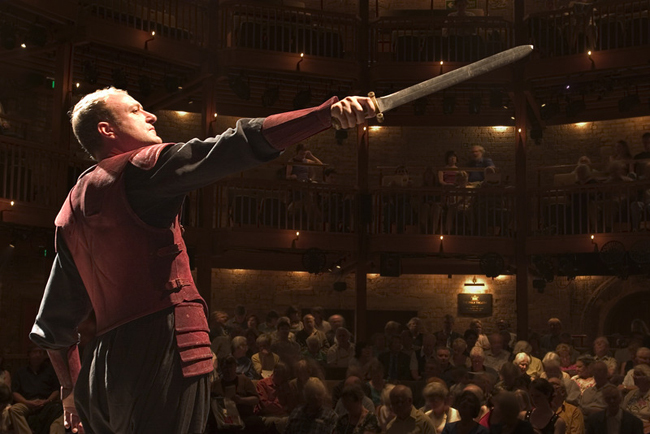 Guests can watch one of Shakespeare’s plays performed by the Royal Shakespeare Company, in addition to touring the theater company’s Stratford-upon-Avon location to learn more about its history and behind the scenes operations. In the last 19 years of his life, Shakespeare penned 26 plays while living at New Place, which is currently under renovation by the Shakespeare Birthplace Trust. The group is working on creating a new heritage landmark at the site of the writer’s last home, since the original house was destroyed by its previous owner. Shakespeare’s Schoolroom and Guildhall is also undergoing a restoration project to improve its roof, lighting, and heating. The project is scheduled to open on April 23 of next year—the presumed month and day of Shakespeare’s death. On that date, guests will go on an immersive experience to learn about life in 16th century Stratford-upon-Avon, in the same schoolhouse where Shakespeare was educated and witnessed his first professional performance. At the Holy Trinity Church, guests can pay their respects at Shakespeare’s baptismal site and gravesite. For more information, visit shakespearesengland.co.uk. Directly across from the Royal Shakespeare Company Theatre’s Stratford-upon-Avon location is the newly refurbished Arden Hotel, a member of Small Luxury Hotels of the World. Guests can choose to stay in and dine at the property’s Waterside Brasserie and Champagne Bar or explore the nearby villages of the Cotswolds, the town of Warwick, and the English countryside. The Arden Hotel has 45 guestrooms, many with views of the River Avon. Rates start at $193 per night. 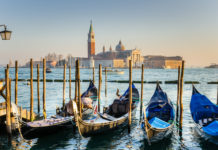 For more information, visit slh.com/hotels/the-arden-hotel-stratford or theardenhotelstratford.com. 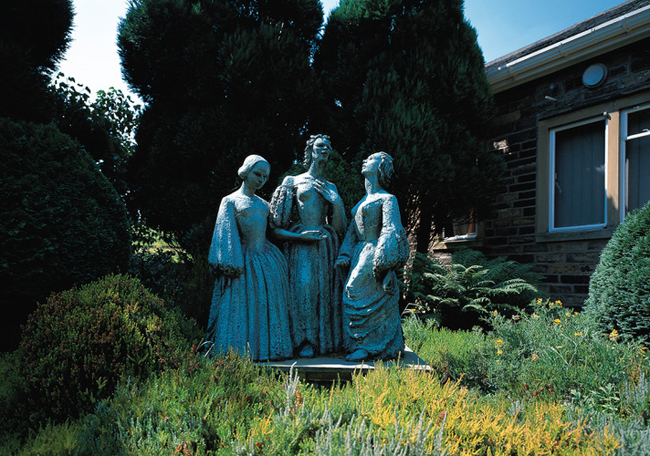 A statue of Charlotte, Emily, and Anne Bronte outside the Bronte Parsonage Museum in Haworth, West Yorkshire. British novelist and poet, Charlotte Bronte, penned this quote in one of her most famous novels, “Jane Eyre,” eight years before her death in 1855. Nearly four decades later, the Bronte Parsonage Museum was founded in Haworth, Yorkshire in the family home of Charlotte and her sisters Emily and Anne Bronte. The Bronte Society maintains the museum, which is currently planning celebrations for the 200th anniversary of Charlotte Bronte’s birth. The museum is home to a prominent arts program that has featured artists such as Maggie O’Farrell, Barbara Taylor Bradford, and Joanne Harris, whose works commemorate the sisters’ legacies. Incidentally, fans of these literary legends can view “The Brontes,” a biographical film on the life of the Bronte sisters, in the UK on April 21, Charlotte’s birthdate. For more information, visit bronte.org.uk. Visitors to the area can stay at the Mercure Bradford Bankfield Hotel, located a 22-minute drive away in West Yorkshire. The 103-guestroom, gothic-style mansion is surrounded by landscaped gardens a short distance from the River Aire. Internationally inspired dishes are served at the hotel’s restaurant, the Brasserie, alongside a selection of wines from Austria, Italy, and other top wine regions. The Club Bar stays open 24 hours a day for late-night refreshments and light meals. Rates start at $138 pp per night. For more information, visit mercurebradford.co.uk. 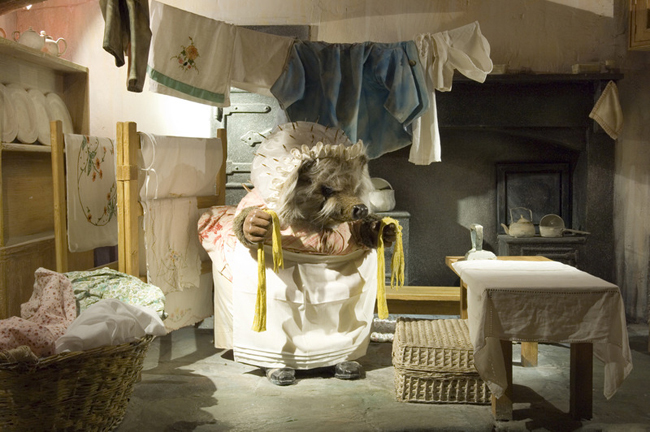 Mrs. Tiggy-winkle’s kitchen at The World of Beatrix Potter Attraction in the Bowness-on-Windermere, Cumbria. Helen Beatrix Potter’s colorful characters and playful lines, such as this one from “The Tale of Squirrel Nutkin,” have endeared her to adults and children alike for more than 100 years. To honor the 150th anniversary of Potter’s birth, guests can visit the fairytale-like interactive attraction made in honor of her work, The World of Beatrix Potter in Bowness-on-Windermere. Highlights include Peter Rabbit’s garden, where Peter got caught in Mr. McGregor’s net; Jamima Puddle-duck’s woodland glade, a 3D exhibition with scenes from Beatrix Potter’s children’s books; and Mrs. Tiggy-winkle’s kitchen, which features the sights and smells of the washerwoman’s laundry room. Admission is $11 for adult tickets, $6 for children, $10 for seniors, and $30 for a family ticket (two adults and two children). For more information, visit anenglishcollection.com/lake-district/world-of-beatrix-potter or hop-skip-jump.com. Guests can explore the inspiration for Potter’s classic narratives, the scenic Lake District, while staying at the Burnside Hotel in Lake District National Park in Cumbria. This Best Western property, located a short distance from The World of Beatrix Potter, features gardens, homemade bar meals, and views of Lake Windermere and the Lakeland fells. Onsite, the Parklands Country Club offers an indoor heated pool with spa bath, a sauna and steam room, and a fitness studio. Pre-selected table d’hôte menu items such as the chef’s specialty dishes and homemade desserts are served at the Silhouettes Restaurant. 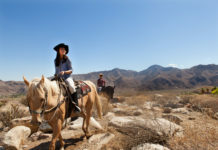 A couple of minutes away in the Bowness-on-Windermere village center are shopping stores and additional dining options. Rates start at $96 per night. For more information, visit burnsidehotel.com.